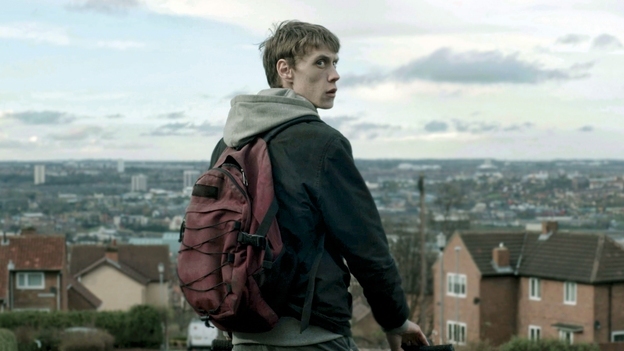 Duane Hopkins’s follow up to Better Things is a poetic drama about a young man on the edge. Duane Hopkins’ long-anticipated follow up to his 2008 debut Better Things proves well worth the wait. This is British social melodrama made uniquely personal through the prism of Hopkins’ ravishing photographic eye (here collaborating with DoP David Proctor) – its fractured, poetic narrative the perfect form for the story it delivers. Told simply, Bypass documents the breaking point in the life of Tim, a young man too physically weedy and soft-hearted to cope with the extreme demands of his life on a council estate, with a terminally ill single mother, an absent father and brother, and a wayward younger sister to care for. As Tim’s health declines and a net of troubles close around him, Hopkins’ film becomes peopled with phantoms and shadows. George MacKay is exceptional as the haunted, hunted Tim (almost unrecognisable from his muscular role in Paul Wright’s For Those in Peril).